Dayton and the surrounding areas. Are you selling, buying, or investing in Real Estate? If so, you need all the information you can obtain about the property in question. You need help. You need a professional that makes it their business to supply just this type of information, a real professional that has the training, knowledge and experience to do the job right. One that is capable of answering your questions thus minimizing the chances you take when investing in either a home for your family or a profitable Real Estate venture. Home Inspection and Investor Services of Clayton has the knowledge experience and training to satisfy your need for information. We are capable of presenting that information in a way that enables you to make your enormously important decision easier. Whether it is a standard home inspection, a 4 point loss control or investor inspection we will do our best to help you relax and enjoy the buying, selling, or investing experience. For Investors large or small our service has no peer. No one can offer a comparable information package. Investors know that the more information they have the more likely they are to make the best decision. Returning vets please call for deep discount inspections. I'm always looking for ways to help market my services. 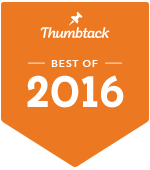 Thumbtack is a good way for me to help me show off my expertise in building and property inspection for residential and commercial. Whole house inspection, roof, structural, mechanical, etc. Single family residences, multifamily, commercial buildings and more. Check out my profile to learn even more about what I do!.